As our days are starting to get warmer here, we think about water a bit more especially when it comes to cooling off, or maybe watering our plants. In Sierra Leone where I work for let them lol, the warmer, dryer months can present life altering, even life threatening circumstances. We call that time of year the dry season. The dry season usually extends from January through parts of May until the rains come again. During this time a landscape that was once lush, green and full of life becomes dry, dusty and will not support life or growth. For many people, their usual water sources go dry during this time. That means they have to walk even further to get water. Often through dangerous terrain. And usually that water they are gathering is contaminated and unsafe to drink. On top of all that, they have to carry this water (usually in a 5 gallon, 40 pound container) many miles back home. 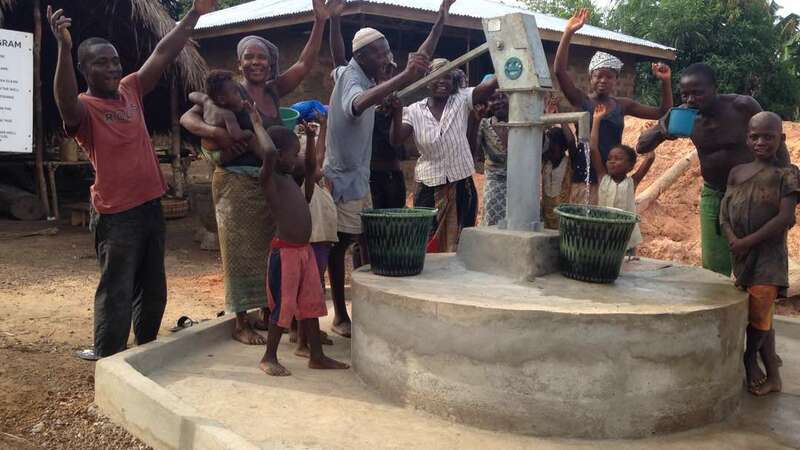 Some villages are lucky enough to have a hand dug well in their community. 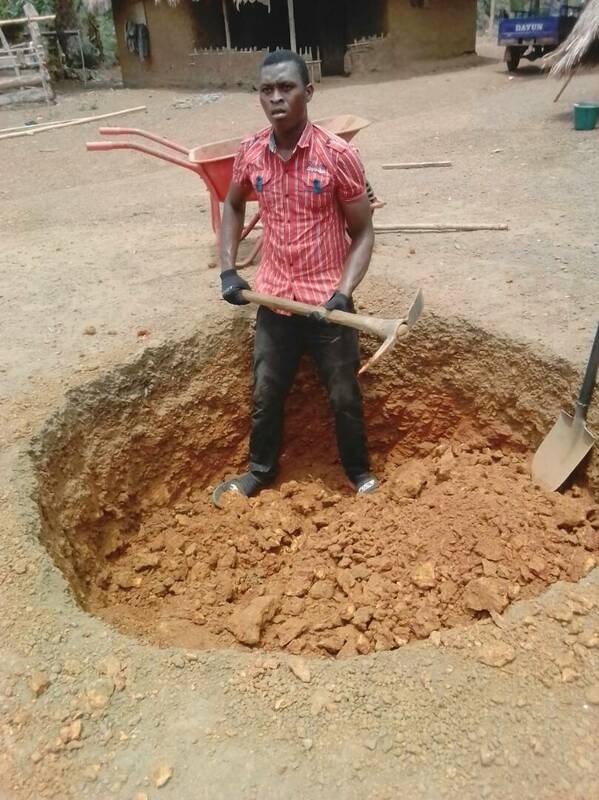 Many times dug by the locals, its nothing more than an open pit with a bucket. Accessible, but unhealthy to drink, and usually very shallow. These almost always go completely dry during the dry season. As part of our work and mission to bring every village access to clean, safe drinking water, hand dug wells are one option we may provide. 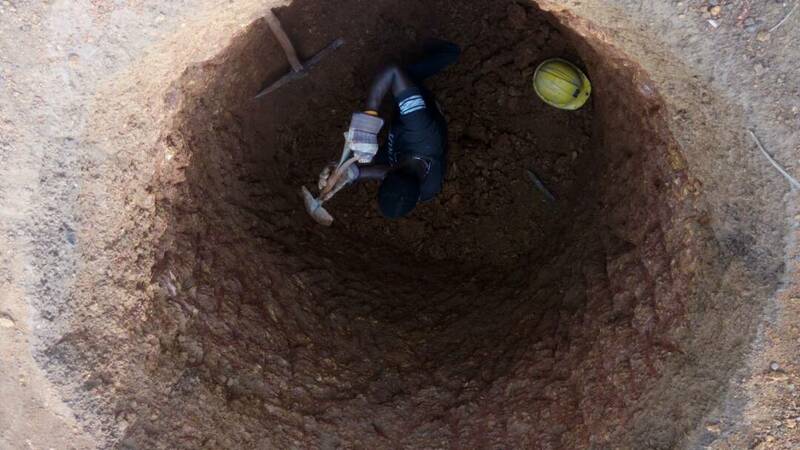 Though our preferred method is to drill a deep (its called a borehole) well, many villages are inaccessible for our large drilling equipment and so we go with our next best option which is a hand dug well. 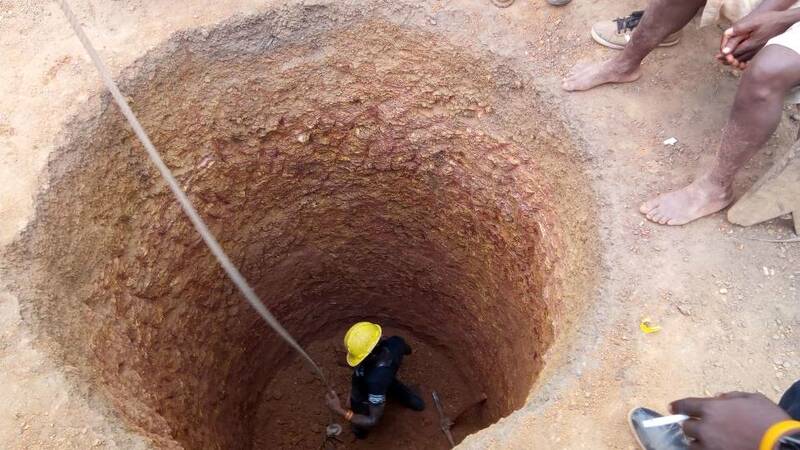 The process of digging a hand dug well, is long, labor intensive and very difficult. Our drill team take turns being lowered into the hole, with a shovel, pic axe and a bucket. Bucket by bucket the well is deepened, until at last they hit water. The well is then lined with concrete, and a pump is installed. 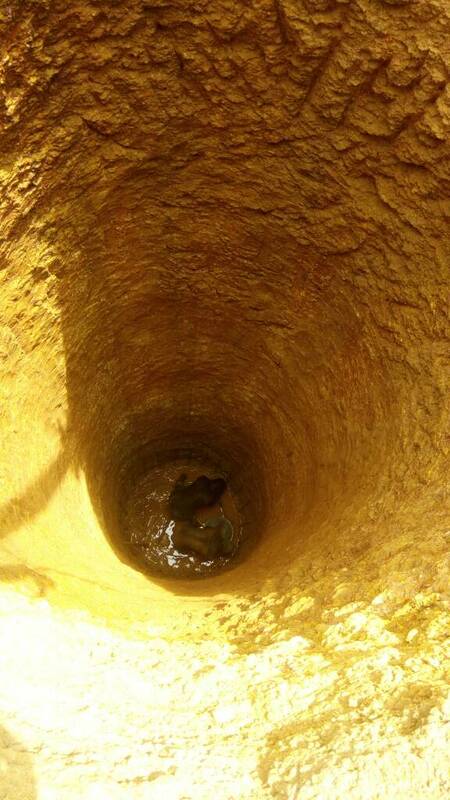 What we have discovered over time is there is only 2-4 week window in a year when we can hand dig wells. We have to do this during the driest month of the dry season. This is the time when the water table is lowest. 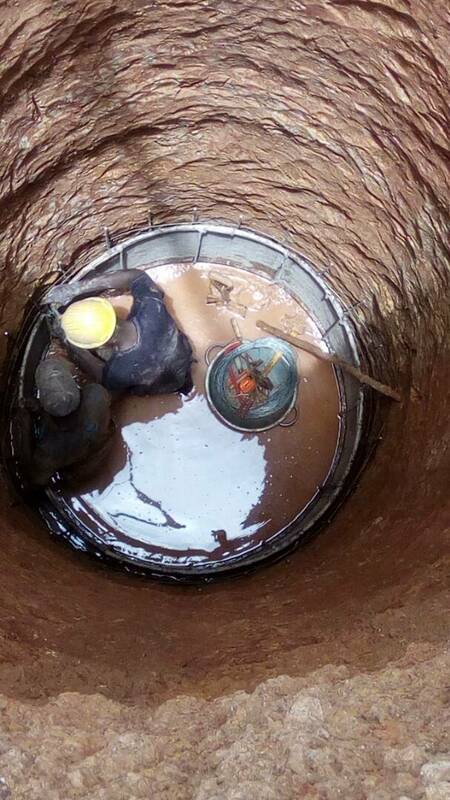 By doing this, we hit the water at its lowest point, thus ensuring that for the rest of the year the well never goes dry. We all face dry seasons in life. Times were it seems like everything is hard, and maybe we are even under a cloud. This could be a time of sickness, loss, or even the accumulation of exhaustion from going through hard or challenging times. Its often during these times that our well, our source of faith and hope seems dried up. Exhausted, the idea of digging down deeper to find what we need seems to be too difficult. So we begin to wander, outside the village looking for another source. What we find is even if we think we have found something that will satisfy, it ends up being contaminated and makes us sick. Just like the water people in Sierra Leone walk many miles to find in the dry season. Like them, when we go to another source, we have to carry the burden and weight of that back into our village. And its not good for us, and we end up even more exhausted and empty. 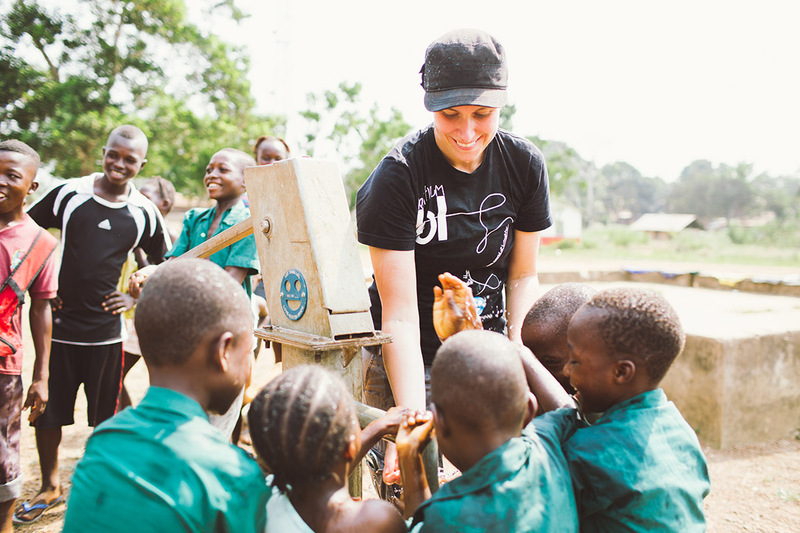 It seems so counterintuitive, but if we would only dig our wells in our driest season. Many of you have probably experienced the joy and intimacy that can come in your relationship with God, when instead of turning away in your dry season, you lean into Him. You put your shovel and ax into that hard, dry, dusty ground and you dig deeper and deeper. Digging so relentlessly and desperately until you find the source. You hear His still small voice in the darkness of that hole. Allowing yourself to go to the place of no return. He has to come through, a spring has to be under all the rock or you won’t make. And He does, He always comes through. He always gives His people just what they need at just the right time. Once the well is dug, it is done. That spring of pure, fresh water will last for decades. It is the same with us. When we dig our wells and lean into Jesus in our dry seasons, the things He shows us and the faith muscles we have built will refresh and sustain us later in life when more dry seasons come. The beautiful bonus to water that comes from so deep down is that it is actually cool in temperature. It is refreshing. 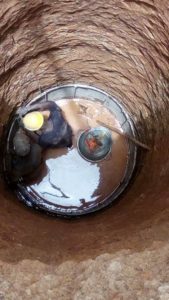 And just like the wells dug by our drill team are not just for their refreshment, they are for all those around the village and even the next generation to come, so our spiritual wells drilled in our dry season will be a refreshment to others. So instead of running away in your dry season, pick up you shovel and dig a deep well. ← Did God Really Say?